Though I realize that I’ve already gone over the first issues that will be coming out this month from Marvel Comics, I wanted to take a moment and spotlight a grouping of issues that are being labeled as “True Believers” issues. I’ll let the press from Marvel themselves do the talking but I will offer up some insight to each one if possible and at the close. Let’s get started. 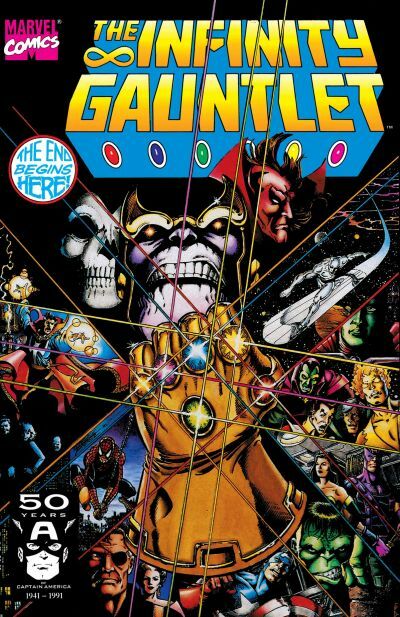 Infinity Gauntlet #1: (Reprinting material from INFINITY GAUNTLET #1) – Thanos has completed the mighty Infinity Gauntlet with all of the six soul gems and will reshape the cosmos to his liking. It pit him against most of the heroes of the Marvel Universe both Terran and extra terrestrial. With Thanos appearing in the first Avengers and Guardians Of The Galaxy films this will educate the new reader on just how nasty this dude is and what the Marvel Cinematic Universe will be up against when film three comes around in a few years. 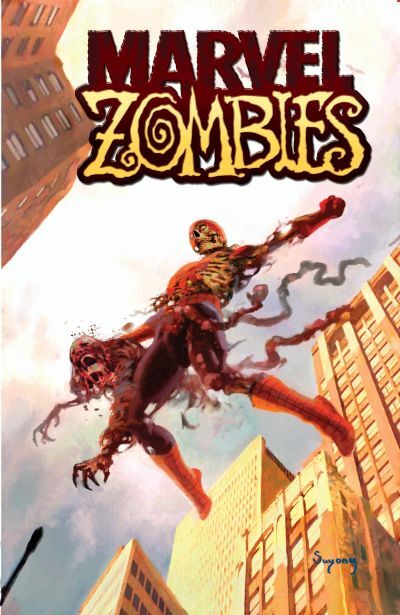 Marvel Zombies #1: (Reprinting MARVEL ZOMBIES #1) – While I never read these series, I think its interesting enough to pay a visit back to this one based on the popularity of “The Walking Dead”. The premise of this series was due to an intergalactic virus strain of some kind causing an infection which turned our beloved heroes and hated villains into zombies. Of course this takes place outside of the conventional Marvel Universe but that is alright. 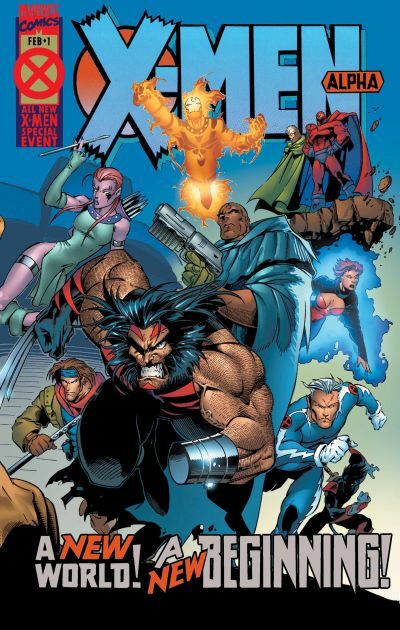 X-Men Alpha #1: (Reprinting material from X-MEN ALPHA) – When “The Age Of Apocalypse” was in full mode on the X-Men titles, their universe was reworked and from this came a very strange future in X-Men Alpha. This title broke ground in terms of sales and had a fantastic chromium wraparound cover. It also had a one handed Wolverine if you can believe that. 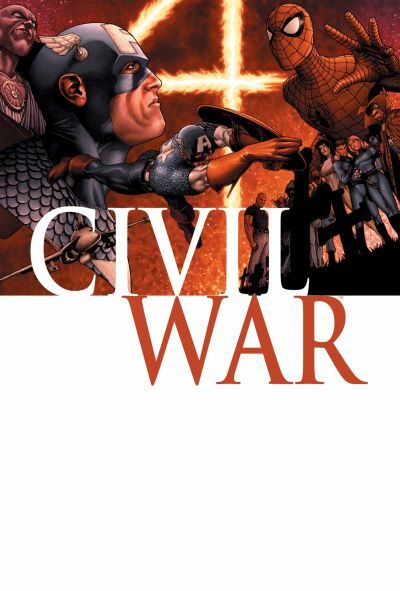 Civil War #1: (Reprinting material from CIVIL WAR #1) – I never ever read “Civil War” but according to its Wiki entry the “The plot of the series follows a framework storyline in which the U.S. government passes a Superhero Registration Act ostensibly designed to have superpowered characters act under official regulation, somewhat akin to police officers.” This will be the title of the third Captain America film which will be the movie that follows “Ant-Man” and arrive next summer so any refresher course that this True Believers issue offers up is a very good thing. 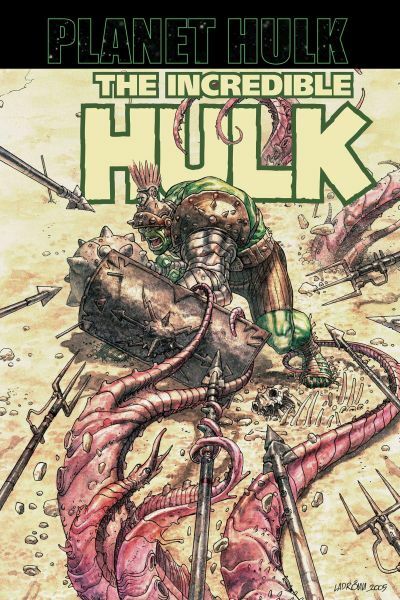 Planet Hulk #1: (Reprinting INCREDIBLE HULK (2000) #92) – Imagine a world in a faraway galaxy where the Hulks intelligence remains along with his immeasurable strength. Sounds exciting right? Well it is and this issue reminds us of just how much of a threat he can be. 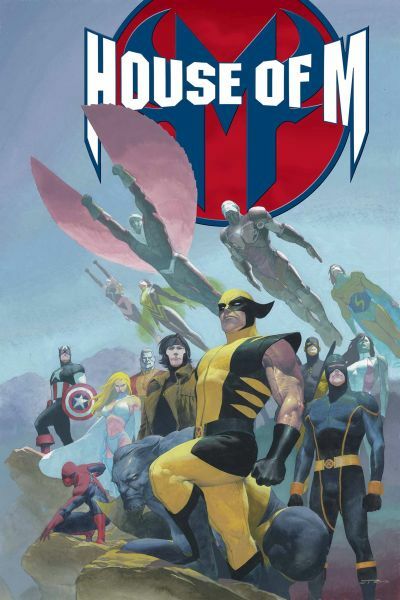 House Of M #1: (Reprinting HOUSE OF M #1) – I didn’t read this series either but it was a mini-series that follows a mentally broke down Scarlet Witch who tries to reshape the world to a fashion in which she prefers. One with the children she once had. 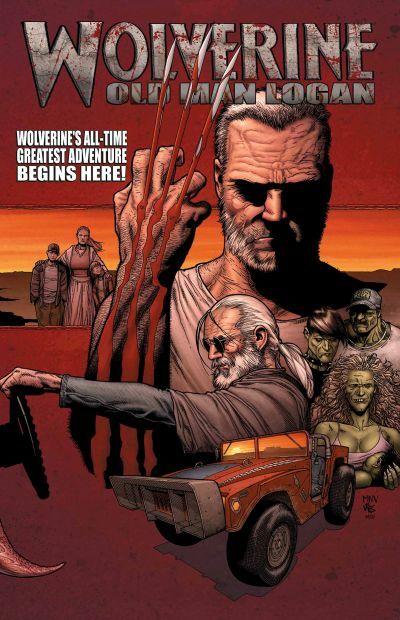 Old Man Logan #1: (Reprinting WOLVERINE (2003) #66) – A future where the USA has been conquered and is ruled by Super-Villains does not sound like a good place at all to me and yet that is where we begin our journey into the world of Old Man Logan. Set some fifty years in the future of what we are aware of now. 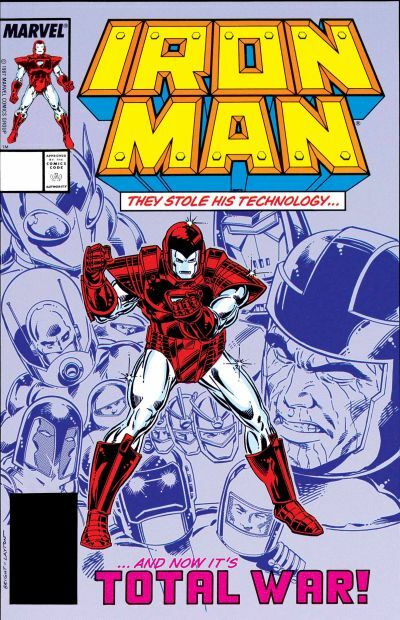 Armor Wars #1: (Reprinting material from IRON MAN (1968) #225) – I loved this title err storyline when it ran back in the day in “Iron Man”. Essentially Tony Stark discovered his technology was being used by hosts of armored super-villains and tech minded non-powered baddies and he goes after them. Great stuff as Stark becomes a man driven to stop his creations from harming mankind. 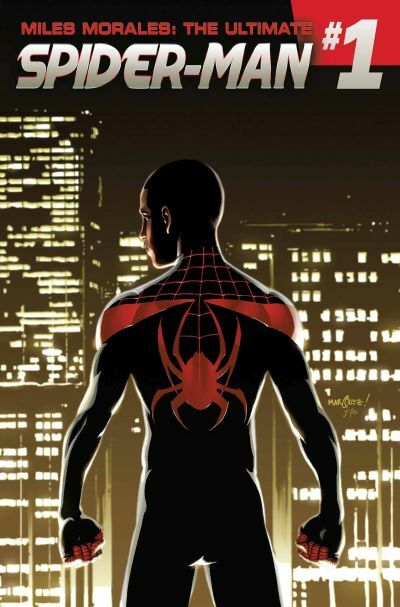 Miguel Morales #1: (ULTIMATE COMICS SPIDER-MAN (2011) #1) – Though I never read this series I heard great things about this different from Peter Parker Spider-Man as this young man takes up the mantle upon the death of Peter Parker. The characters younger age will def make this a hit of the younger generation of readers even as a reprinted issue. 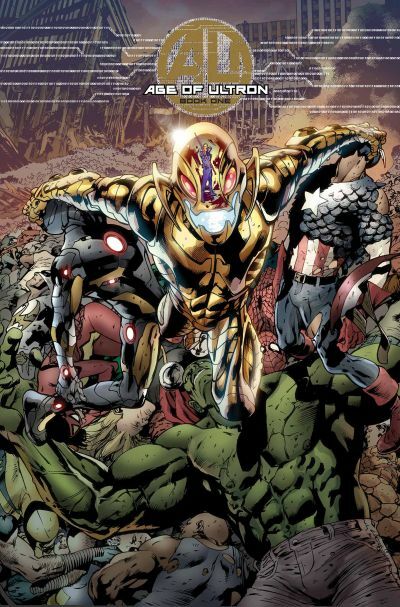 Age Of Ultron #1: (Reprinting AGE OF ULTRON #1) – This was a pretty recent storyline and showed us a future world and universe where Ultron returned and claimed his righteous level of tyranny and ruled the world or what was left of it. Clearly not a great place to be flesh and blood if you asked me and a solid point for any readers who want to see the kind of villain that we get with the “Avengers: Age Of Ultron” film that opens next month. 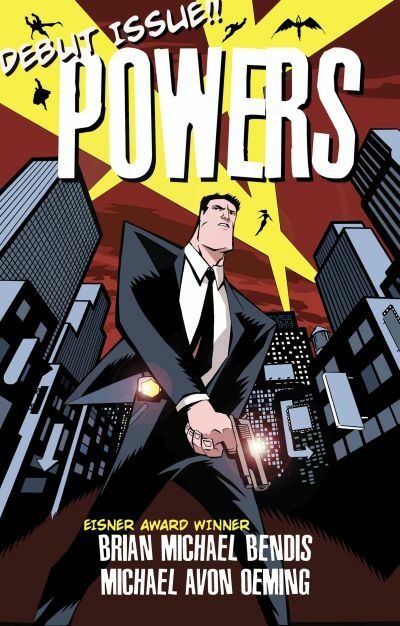 Powers Firsts #1: (Reprinting POWERS #1) – This is a new one to me as its not always easy to keep track of every single title out there but “Powers” deals with a pair of homicide detectives who investigate issues and troubles surrounding those with super powers. Sounds interesting enough. PiercingMetal Thoughts: It’s without question that the upcoming “Secret Wars” storyline is going to be an exciting run for the Marvel Universe as we know it. These “True Believers” titles will surely help raise the interest in the happenings as they present numerous characters from various points in Marvel Comics history all in one place as the worlds we’ve come to know are forever changed. I’ve read many of these from when they were first released and highly recommend the “Infinity Gauntlet”, “Armor Wars” and “Age Of Ultron” ones since these were favorites and actually a lot of the heroes and villains are currently in the Marvel Cinematic Universe releases as well so should form an instant lock in those who are from time to time readers of the printed page. Another thing I like, no love about this special happening is the one dollar apiece factor. This ability to purchase eleven titles for $11 means that an older reader can quickly purchase every single copy a few times apiece and dole them out to their younger generation relatives or to the children of friends etc. It’s the perfect way to do something awesome and not go broke at the same time. Don’t you want to be the favorite Uncle, Aunt, Brother or Sister to the growing comic book fan in your world? Let me know what you think of this initiative in the comments section because I’d love to hear what you think. I’ve embedded Amazon.com links for several trade paperbacks that these tales come from for those fans who are in the need to read mode. Good stuff for sure. Dig in.